Tuckeroo Cottages – your secluded couple’s bush retreat with spectacular scenery and private walks to a tranquil rocky river. 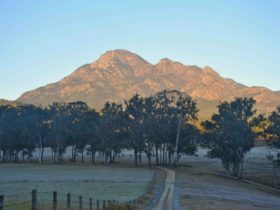 Discover Mt Barney with Tuckeroo Cottages® hidden away on 50 acres of mostly remnant forest only 90 minutes from Brisbane and the Gold Coast in the heart of the Scenic Rim, South East Queensland. The cottages feature quality linen/crockery, have a private deck to watch the sun go down whilst enjoying a glass of wine. Soak up the ambience of the wood-fired heater on cool evenings. 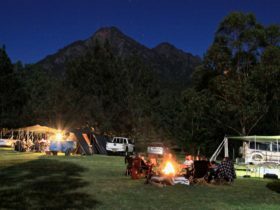 Utilise the Pavilion with its barbecue and authentic outdoor pizza oven or gather around a campfire, star gaze and enjoy a camp oven dinner and toasted marshmallows. 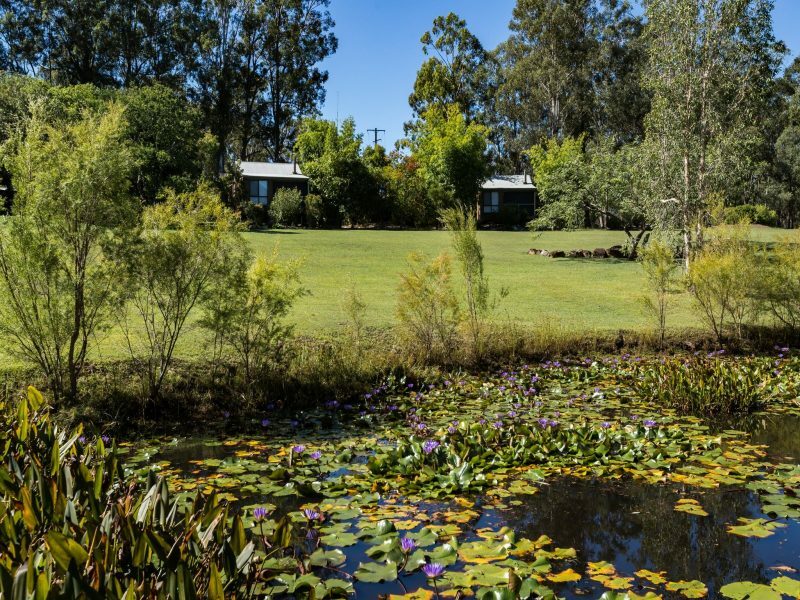 Tuckeroo is central to many attractions close to the small township of Rathdowney, Mount Barney, Lake Maroon and the friendly country town of Boonah. 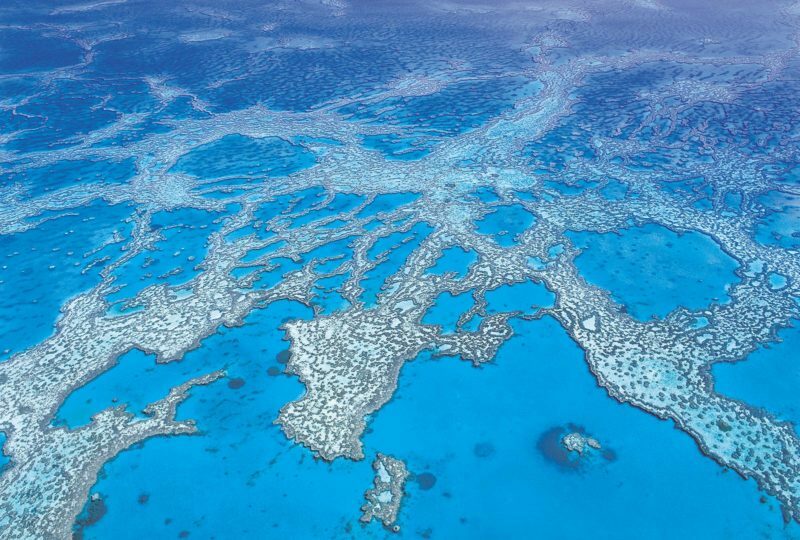 There are annual art festivals, the June Scenic Rim`Eat Local Week’ and many other events. 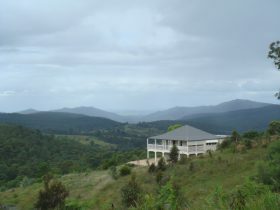 Bird watching, bush walks, mountain climbs, abseiling and horse riding can be easily accessed from Tuckeroo Cottages, your Scenic Rim Accommodation. 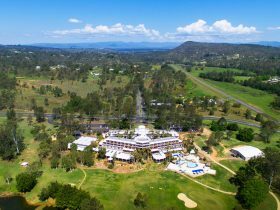 Make this your Scenic Rim escape, where there is plenty to enjoy during your stay, or if you prefer, you can enjoy doing absolutely nothing at all! The elite and impressive cottages are open plan and self-contained. They have a cosy and protected verandah in which to relax or dine or take in breathtaking views of the spectacular mountain scenery. The natural timber and soft lighting of the interior gives special warmth and is in keeping with the environment. Both cottages contain a comfortable queen size bed, ensuite, cosy living/kitchen area with wood-fired heater and a separate dining nook. Stocked with quality crockery and utensils, generous selection of tea and coffee (including coffee plunger) plus the usual supplies (quality linen, soap, detergent, olive oil, salt/pepper), which you expect to find in quality accommodation, all help make dining in a pleasure. Television, DVD, compact disc facilities included. 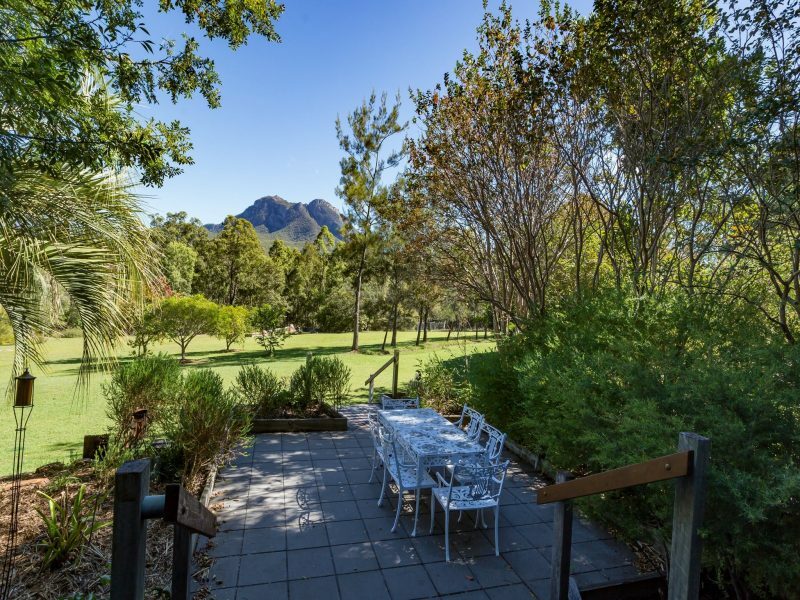 Why not discover Mt Barney with Tuckeroo Cottages® – a secluded couples retreat featuring spectacular mountain scenery and private forest walks to a tranquil rocky river. The Blue Wren is an open plan self-contained cottage ideally suited to couples. It has disabled access and bathroom facilities. Enjoy an intimate dining nook with spectacular mountain views during the day or snuggle up in the cosy atmosphere around the wood fireplace in the cool of the evening. Guests can choose to do as much as they like at Tuckeroo …… or they can choose to do nothing at all. Why not take the time to simply relax, rejuvenate and reconnect! Price starts from AUD160 per night for a three night stay or more and includes a light Continental Breakfast pack each day.